While most beauty advices make sense, some rules are just simply outdated – especially when it comes to colour cosmetics. Makeup is meant to enhance our beauty, and what’s more beautiful than having fun with the process while taking several risks along the way. Here, we’ve listed down five makeup colour rules that are definitely worth breaking. Never wear an eyeshadow shade with the same colour as your irises. In the colour wheel, complementary colours oppose each other. Similar with makeup colours, shades that complement the eye colour makes the natural hue of the iris pop. Blue and green, for instance, are opposites on the colour wheel, making copper a good eyeshadow shade for blue eyes. Still, there’s no need for you to stick with complimentary and neutral colours. The old theory that matching eye colour and eye makeup creates competition – wherein the eyeshadow overpowers the eye colour – tend to oversimplify things. In breaking this rule, you only need to ensure that your eyeshadow isn’t the exact colour of your eyes. So don’t be afraid of wearing an eyeshadow in the same colour family as your eye colour. Just remember to pick a shade with a different intensity. Always match your manicure colour with your pedicure. Given that most nail polish is short-lived, it’d be a shame to confine yourself to one colour at a time. The field for using different shades of nail polish is actually wide open. Colours within the same colour family create an elegant combination (like royal blue on toes, and powder blue on fingers). Alternatively, contrasting formulas and colours create an edgier combo – try sheer pink and shimmering plum, or metallic gold and opaque coral. Finally, your nails don’t have to match each other. A red-to-pink-to-white colour evolution is a clever twist on classically feminine colours. Avoid wearing navy and black shades together. One makeup look featured in the fashion runways this year showed that this colour rule is already a thing of the past. A smudged black eyeliner blended with a metallic navy eyeshadow creates the chicest smoke-y eye there is. Never wear eye makeup in a shade of purple. Purple developed a bad reputation over the years, and it’s quite understandable why we’d want to avoid the candied purple tone of the past. Fortunately, purple comes in various shades and there’s probably one shade that’s perfect for you. Deep violet is perfect for flattering dark complexions, while plum shades look enchanting on green eyes. Pale skin, on the other hand, is ideal for eyeshadows set in purple-tone greys. Shades set in powdery lilac, however, should be skipped unless you’ll use it on your nails. Match your eyebrow colour with your hair colour. As what beauty experts explain: eyebrows are not warm, regardless of the tone of your hair and your skin colour. Eyebrows that are filled with warm shades tend to look artificial, so opt for ashen or toned brow pencils. Apart from sticking with cool-toned bro pencils, don’t feel pressured to keep your brows light if you’re blond. Dark eyebrows look striking on a blond. Playing with colours is essential to create your signature look. So start experimenting more with you makeup colours by breaking these rules first. Trading your college sweatshirts for an office-appropriate ensemble can be daunting, not to mention expensive. Still, a put-together and well-fitting professional wardrobe is essential if you want to leave a strong impression on your first job. To help you, we’ve listed down some tips on how you’ll be able to fit the costs of work clothes into your tight budget. The best thing you can do to steadily build your work clothes collection is to set aside a specific amount of money every month, and use it to purchase professional clothing. Financial experts recommend dedicating five percent of your income to clothing. However, if you only have a budget enough to purchase one or two items each month, then it’d be best to strategically plan the items you’ll be purchasing first. Start off with the basics like blouses, skirts, slacks, blazers, cardigans, etc. 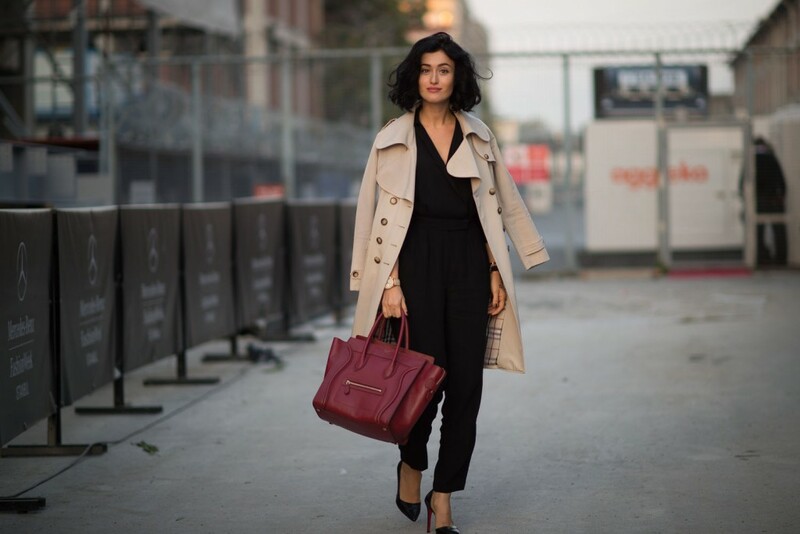 Create a foundation for your work wardrobe using classic pieces that can be mixed and matched. Once you have a solid base of clothing pieces, that’s when you should start buying jewellery, accessories and bags to round up your look. Another good way to boost your work clothing budget is to cut back on your extraneous expenses for several months. You’d be amazed on how much money you’ll save by cutting back on your alcohol consumption, bringing meals to work every day, and biking or walking to your office instead of taking a cab. When it comes to purchasing work clothes, it’s important to have high quality basics than to have lots of options. You may think that purchasing a cheap attire is the key to building a work wardrobe on budget, but it’s the opposite that’s actually true. You’re better off spending a hundred bucks on a pair of slacks that fit well and will last for years than purchasing a few pairs of S$20 pants that you’ll need to replace after a couple of months. If you want to make the most out of your budget, get into the habit of scrutinizing clothing pieces for signs of poor construction. Check on the garment tag, and take note of its fibre content. Natural fibres like wool and cotton tend to hold up better over time, which means high percentages of these fibres are a good sign. Apart from the clothing’s fibre content, also look into its stitching. Check an inside seam, and see if the stitches are tight and consistent. If you spot any red flags like snags, lose buttons, and hanging strings, simply put the garment back. The last thing you’d need in your wardrobe is a piece that falls apart just after two washes. Building a killer work wardrobe may take some time with limited funds. But by sticking with your budget, shopping smart, and keeping an eye on quality items, you’ll become the best dressed in your office in no time.